Dainty on it's own or bold in a stack. 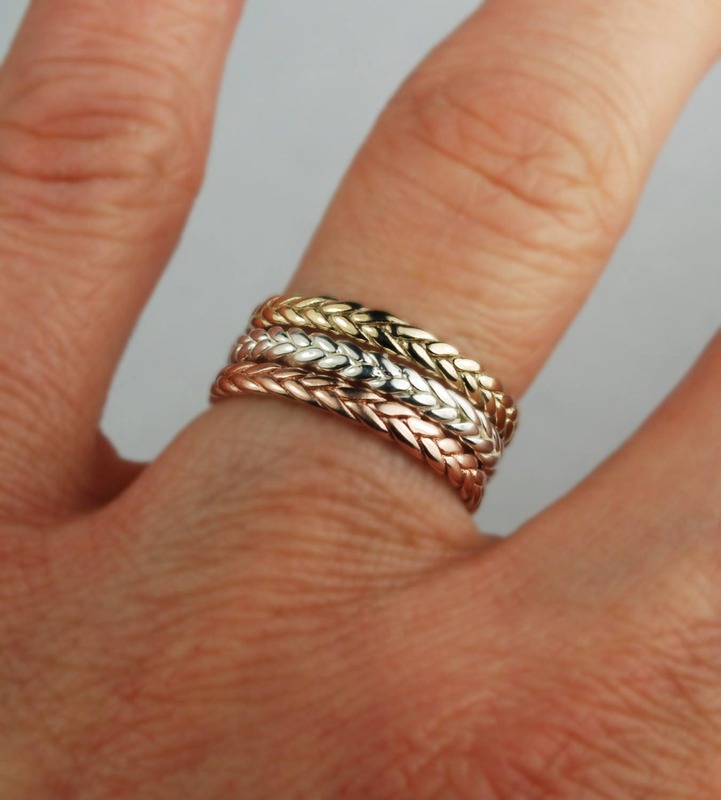 Each 14 k solid gold braid ring is approximately 2.1-2.2mm wide (dependent on size) with a depth which varies between 1.1-1.3 mm (again dependent on size). 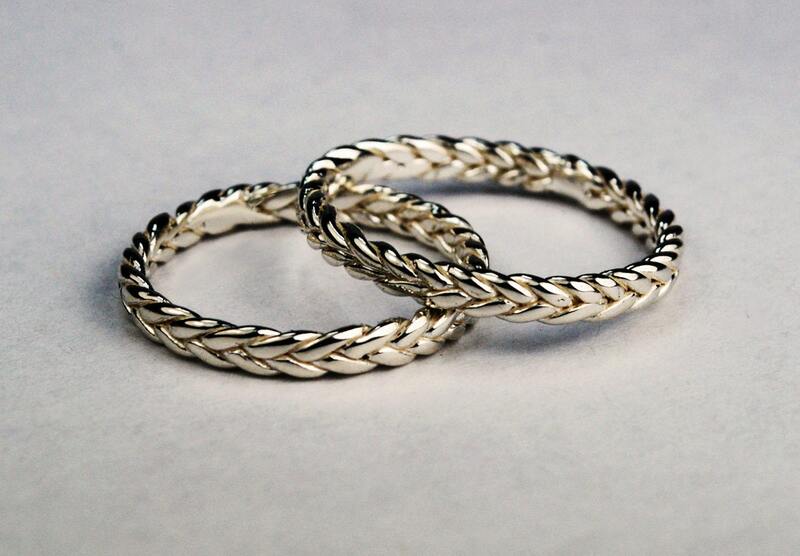 All rings are cast with recycled gold. Please note, tightness of the braid varies slightly for each size. LISTING PRICE IS FOR ONE 14K WHITE GOLD RING. Bought this as a pinky ring for my boyfriend. It's perfect. Seller was extremely fast at answering all questions and delivering on time. Thank you so much! He loved it. I love this ring! I wanted to order it as my wedding band about 10 days before my wedding, and Jennifer was very responsive and put a rush on the order. I received it in plenty of time. It looks beautiful and is very light and comfortable. Thanks! 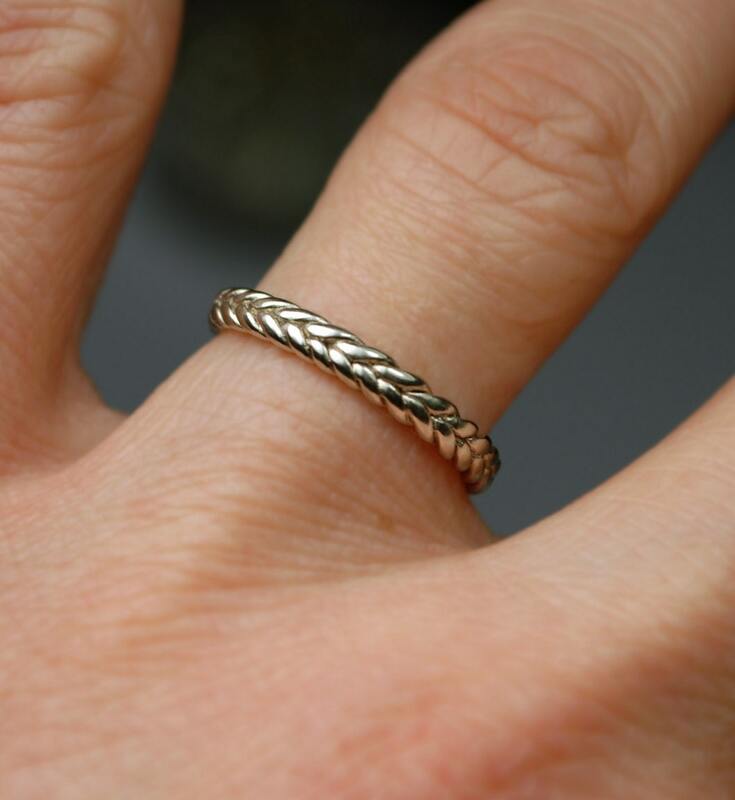 The thin braid ring is beautiful and delicate. A classic design that goes great with my engagement ring. Quick shipment too.